I’m thrilled to be participating in a five-day ‘LOL-a-thon‘ organized by ‘The Momsteins’. It is a privilege to be one of the organizers and host this talent series with 27 amazing bloggers across niches. 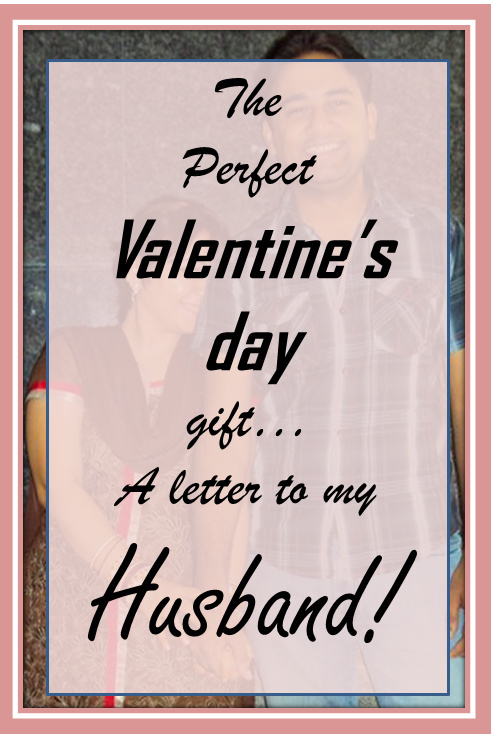 Join us to read some wonderful letters on Today’s prompt, which is ” Write a letter to your Husband/Beloved”. You Know, I was always the girl whose aim in life was to grow up and get married. Funny as it may sound, but that’s what I saw happening all around me. I had never seen a girl finish her studies, let alone higher studies, never seen one do a job or so… So my ultimate plan in life was to get married and have a family. No compromises there. It was as if I’m out there for an exhibition and whether to pick me or not was solely in the hands of the viewer. When we sat down to talk, I gradually got comfortable. Of course like every young girl I had a checklist in my mind. You must have scored a 7-8 out of 10 and that was good enough for me. Eventually, we got engaged and then a new journey started. As time went by, I spoke a lot to you. I don’t even remember when talking to you got so comfortable that we moved from strangers to close friends. I had a lot of weight on my heart which if you remember, you helped me clear very smartly! That supersmart guy that you were!! But I’m so glad that happened. You read me like an open book written in the easiest of handwriting and I always wondered how you had that insight on me. You’ve been really nasty to me by acting really smart – remember the Titanic Pose? I hated you for that! But slowly, gradually and eventually, I fell so much in love with you, it’s maddening! I don’t even know if it can be fathomed or not. By the time we were getting married, I felt like this was a Love marriage instead of an arranged marriage. You know with so many issues that came up and the little things that became big between us, I’m glad we have mutually matured to a complacent level. I’m glad that we live together in peace and affinity, and those are the precise values we are building in our children. I’m a girl who was never treated like a chained bird by my parents. Partly because they gave me freedom, and partly because I took the freedom I wanted without considering or fearing the consequences. I was always threatened to ‘behave’ because the freedom I get at home, I wouldn’t at my in-law’s place. But I am more than just glad that I got beyond that freedom in my home, in my home with you! You’ve cooperated and helped me with all of my desires and well honestly, we all know that I wouldn’t have listened to your advice if I was determined to do something!! Ya ya that LIC policy!! I remember you don’t have to remind me. you’ve loved me little, but made me love you more than anyone and anything else in this world! To you, I owe my life and my entire happiness. P.S. You really need to start applying oil to your hair by yourself, I really love you a lot, but I hate oil on my hands even more. hahah I get so angry! Its an everyday affair! Wow prisha, such lovely words. You might have remembered every memory of that time when you wrote this letter. Love it. Simply touched. Prisha..this is so cute. And tour guy surely sounds very much matured, composed and understanding from your write up. God bless you both. A beautiful letter.Your hubby is a lucky man abd so are you.Stay blessed Prisha. You are quite the writer Prisha. Not too intense but heartwarming and sweet.